Return to Freedom is among the advocacy organizations involved in this ongoing suit. Read about ongoing litigation and support the Wild Horse Legal Defense Fund by clicking here. 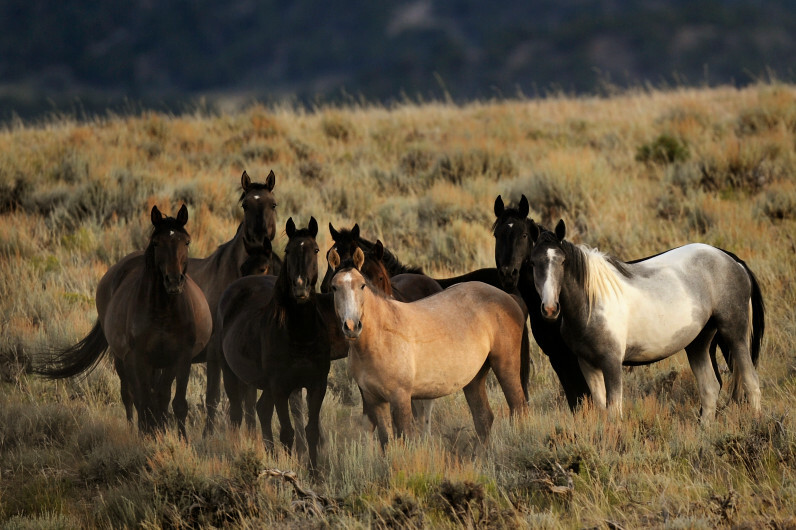 Wyoming is a party in the case as well, siding with the Bureau of Land Management’s position that a landowner’s request to remove horses from adjacent public land in an area where the agency in 2014 removed 1, 263 horses, is sufficient to trigger removal from public land by the BLM. Wyoming is trying to “protect the rights of private citizens in Wyoming,” said Erik Petersen, Wyoming senior assistant attorney general, who argued for the state before the three-judge panel. Advocates for the horses say that a decision in favor of the BLM would lead to elimination of the federally-protected animals from a patchwork of public and private land called the Checkerboard where there are few fences. The American Wild Horse Preservation Campaign, and other advocates, say that the roundup leaves the population far below the minimum number mandated under the BLM’s Resource Management Plans that guide land use policy for the public lands in the area.